Steven D. Jackson is currently the Associate Director for Industrial Programs. 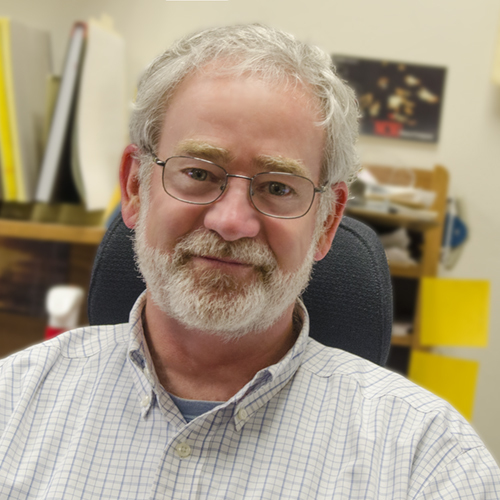 After obtaining his undergraduate engineering degree, Steve spent several years as a designer and design department head at an aircraft ground support equipment manufacturing company where he implemented product-focused organization and closer cooperation between design, production planning, and manufacturing personnel. He was later vice president, then president of a computer-aided manufacturing software firm where he worked in product development and general company management. Following two years at a New York investment firm, Steve’s continued interest in manufacturing systems prompted his return to Raleigh for the IMSEI graduate program where he received his degree in 1993. Steve’s career has given him the opportunity to visit numerous manufacturing facilities and deal with a wide range of problems. He lives in Raleigh with his wife Carolyn, daughter Mary and son Will. Product and process design integration; concurrent engineering; integration of business goals and shop floor strategies. Saloni, D. E., Lemaster, R. L., & Jackson, S. D. (2010), Sensors (Basel, Switzerland), 10(11), 10401–10412. Morales, L., Lemaster, R. L., Jackson, S. D., & Hodgson, T. J. (2009), Forest Products Journal, 59(11-12), 60–66. Saloni, D. E., Lemaster, R. L., & Jackson, S. D. (2019), Forest Products Journal, 55(12), 35–41.